gerard way – I need new hobbies. Brilliant every month, and some of the best reading you’ll ever do in the super-hero genre. Ta-Nehisi Coates has done an amazing job on this book so far. …but wait, there’s more! 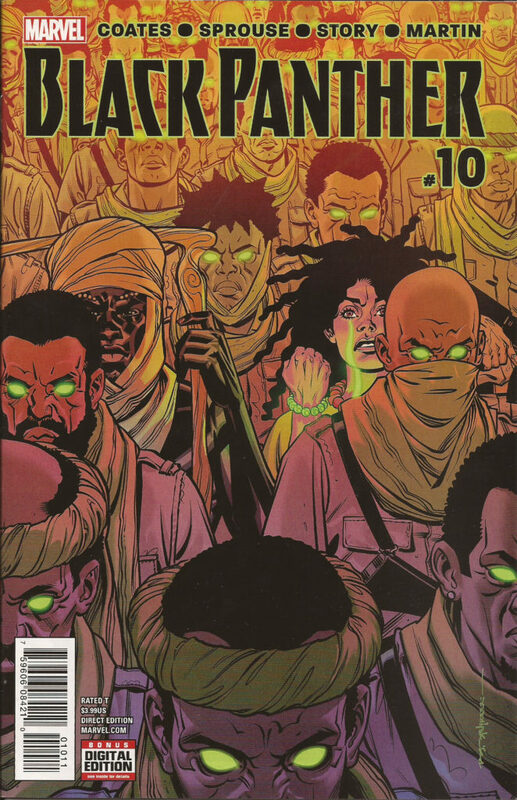 Coates is also doing this book with Roxane Gay, and right now, the story’s focused on the origins of the Midnight Angels from the main Black Panther book. 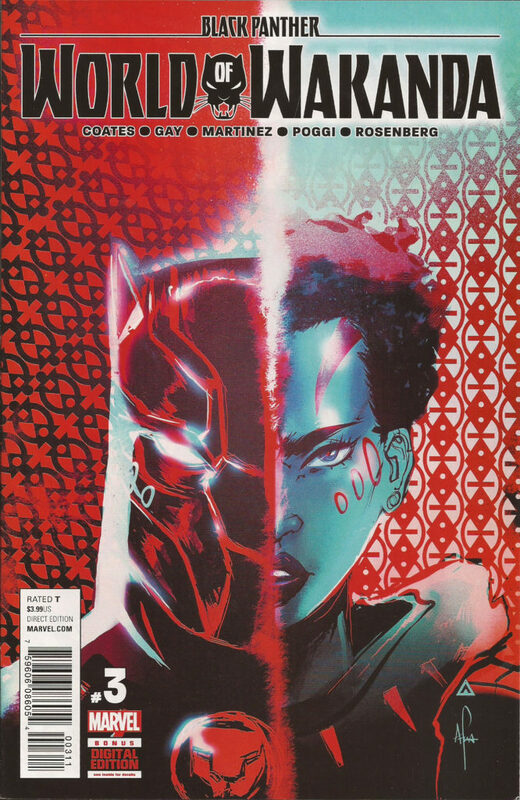 It’s very good, but with this and a third Black Panther book coming in April now (The Crew, focusing on Black Panther’s team; Ta-Nehisi Coates is also at least co-writing this one, and Butch Guice is drawing it), I’m concerned that Marvel’s trying to make me broke in the short term, and in the longer term, that they’re going to get me invested in characters in books that they’ll cancel once the promotion of the Black Panther movie is done. (See also: Ant-Man.) If you’re not sweating all of that, and just looking to read a good story, this is a solid book. Remember when I said there were three Jeff Lemire books in my pull? Thanos is the third. This started off slow, aside from the “hey, I haven’t seen this character in the supporting cast in a while” factor, but it feels like it’s building up some speed now. 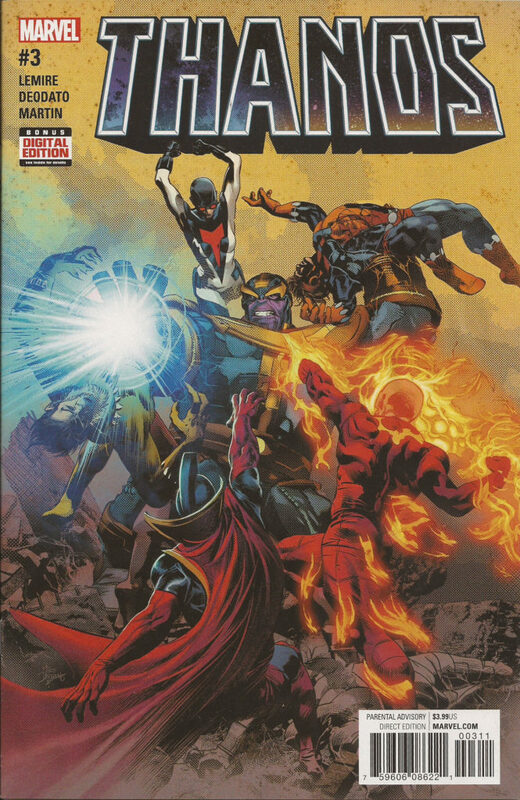 If you’re a cosmic Marvel junkie, you’re probably already reading this or at least waiting for the first trade. Mike Deodato’s on art here, and while I haven’t paid really close attention to his career, I enjoyed his Wonder Woman a bunch, and this is of the same quality, even if the feel isn’t exactly the same. You’d think that, with me being a pre-Crisis DC nerd, I’d have been all over this book, but the “Give Gerard Way his own line and let him get weird with characters I love” factor made me a skeptic going in. When I read the title of the book, and the initial promo copy for it, it felt like a bad case of “trying too hard”, but that’s a pretty good argument for not reading ad copy, and that’s about it. I flipped through it after passing on it initially, and ended up grabbing it right away. The book itself has been a lot of fun. 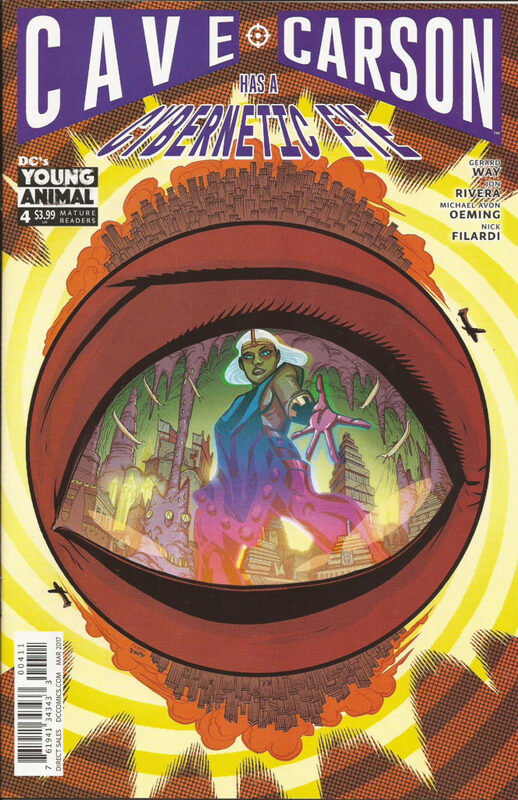 This wasn’t been the best issue of the book (kind of a “middle of the story” feel to it), but the characters have been fun, the art’s the right kinda weird, and I’m looking forward to seeing where it all goes. 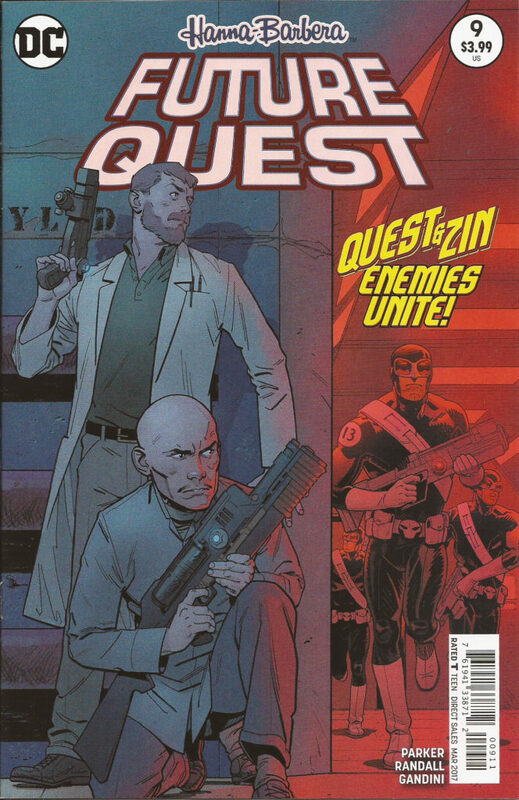 Last, but not least, Future Quest has been awesome. I was also really skeptical about this latest attempt by DC to do something with their Hanna-Barbera characters (to the point where I completely passed on The Flintstones, which was a huge mistake on my part), and while it’s true that some of the line (Scooby-Doo Apocalypse and Wacky Raceland) is a mess, this is not in that category. It’s an ambitious attempt to link most of the early Hanna-Barbera super-heroes (Jonny Quest, Space Ghost, The Herculoids, Birdman, Frankenstein Jr., The Impossibles, Mightor, and I’m actually probably forgetting a few in there), and while it’s a lot to keep up with at times, this is one of those issues where it REALLY works and comes together. There are 3 more issues after this one, and then I guess we’ll see what they do with the line in year 2 from there, but give this a look in trades if you missed picking it up initially. So, I did it. I did a bunch of stuff I enjoy doing, despite the world being in the process of going to seed as I did it. How do I feel? I’m still pretty distracted, exhausted and nervous all the time, and was even as I was going through the cards and reading the comics. Life is super unstable on a global level right now, so that’s understandable. I still think it is pretty important to keep doing the things you love at these times, even if you don’t get as much joy from them as you normally would, just to stay in practice on being a human being instead of a husk. So, even if I’m only half-enjoying what I used to fully relish, I’m going to try to keep at it, as should any of you reading this. The people who are doing the bad things want us to forget how to enjoy ourselves, and they’re pretty good at making joy difficult to access. This is just one more thing that we should not let them win on. They’ve gotten their way far too often already.